The Summer Arts Festival line-up, part of PBS’ ongoing commitment to arts content on-air and online, features films that celebrate the contributions of independent filmmakers including a behind-the-scenes profile of actor/playwright John Leguizamo, a film that chronicles a year in the life of talented teenage Mariachi musicians, a look at priceless museum collections and a concert documentary profiling a world-renowned mezzo-soprano. The Festival explores international arts, including a historic concert by four Cuban music greats and a journey into Islamic art narrated by acclaimed actress Susan Sarandon. Slated to run for seven weeks, an additional program will be announced at a later date. The PBS Arts Summer Festival takes viewers on an exploration of nearly 20 cities around the globe, offering an in-depth look at music, theater, art, architecture and cultural history from some of the world’s most unique locations. In addition, PBS stations will be able to insert local content highlighting the arts scene in their markets. The PBS Arts Summer Festival announcement comes on the heels of a recent independent national survey about public perception of live and televised performing arts programs, conducted by ORC International Online Caravan. The survey found adults 18+ turned most frequently to PBS for televised cultural programs. Forty-two percent (42%) of adults surveyed watch televised arts and culture on PBS, 35% watch traditional networks, 30% basic cable, and 15% premium cable. Additional survey results are available at PBS.org. THE BARNES COLLECTION (working title) This 60-minute film follows Dr. Albert Barnes on his remarkable rise from Philadelphia’s working-class neighborhood to the top of the modern art world. This unique tale bounces back and forth through time as the late Dr. Barnes travels the world, collecting works of art by some of history’s most famous artists – Picasso, Cezanne, Matisse, Renoir and many others. The film digs deep into the intricacies of each painting, offering a rare look at the priceless collection and the new Philadelphia museum that now houses it. Produced by PBS Member Station WHYY. HOMECOMING: THE KANSAS CITY SYMPHONY PRESENTS JOYCE DIDONATO (working title) Architect Moshe Safdie’s extraordinary new Kauffman Center for the Performing Arts provides the stunning backdrop for a 60-minute performance-documentary profiling the young, Grammy Award-winning musicians of the Kansas City Symphony, their vibrant artistic director and conductor Michael Stern, and the radiant, internationally celebrated mezzo-soprano Joyce DiDonato. A concert wrapped by documentary narratives, this Arts Festival special tracks Ms. DiDonato’s nostalgic return to her hometown, and her thrilling Kauffman Center debut, after a triumphant appearance with Placido Domingo at The Metropolitan Opera in New York. Together, Joyce DiDonato, Maestro Stern and the Kansas City Symphony create a musical program as grand and ambitious as the Kauffman Center itself. Produced by Kansas City Public Television (KCPT) in association with veteran PBS music producers James Arntz & John Paulson. HAVANA, HAVANA! This music-documentary vibrates with the soul and energy of African-Cuban drummers, guajira guitarists, and the pulsing melodies of celebrated Cuban musician Raul Paz. Paz brings together fellow musical stars Descemer Bueno, Kelvis Ochoa and David Torrens for a concert in Havana. All of them left Cuba years ago, and their decision to return has injected a new spirit into Cuban music. Mirroring Cuba’s growing relationship with the world, HAVANA, HAVANA! highlights how the country’s musical expression is evolving in the 21st century. Produced by David Grubin and Coloma Productions. ISLAMIC ART: MIRROR OF THE INVISIBLE WORLD Narrated by award-winning actress Susan Sarandon, ISLAMIC ART: MIRROR OF THE INVISIBLE WORLD takes viewers to nine countries and across 1,400 years of cultural history to explore the astonishing artistic and architectural riches of this ancient religion. With the insights and commentary of leading art scholars from around the world, the 90-minute film delves not only into the art of religious life in Islamic culture, but also into the secret world inside the palaces of the elite. From the extraordinary array of metalwork, textiles, paintings, and architecture that illuminate the culture, filmmaker Rob Gardner sheds light on the shared histories of western and Islamic society, revealing more continuity than division. Executive Produced by Alex Kronemer and Michael Wolfe of Unity Productions Foundation; Produced and Directed by Rob Gardner of Gardner Films. JOHN LEGUIZAMO'S TALES FROM A GHETTO KLOWN This profile of actor/playwright John Leguizamo looks at his unorthodox rise to success, while capturing his struggles to mount his latest one-man show. From a glimpse into his Colombian and “NuyoRican” roots to his high-profile career in Hollywood, Leguizamo bares his soul, giving viewers a behind-the-scenes glimpse at one of the industry’s most versatile actors. TALES FROM A GHETTO KLOWN is a co-production of Diamante Pictures, David Chitel, Fisher Stevens and directed by Ben DeJesus; and Latino Public Broadcasting with major funding provided by the Corporation for Public Broadcasting. MARIACHI HIGH In a part of America that rarely makes headlines, there is a small town with a group of teenagers who will captivate your ears and warm your heart. Mariachi High spends a year in the life of the champion mariachi ensemble at Zapata High School. As they compete and perform with astonishing musical virtuosity, these teens, and the music they make, will inspire, surprise, and bring you to your feet. MARIACHI HIGH is a production of Rubylake, Ilana Trachtman and Kim Connell in association with Latino Public Broadcasting with major funding provided by the Corporation for Public Broadcasting. An additional program in the PBS Arts Summer Festival will be announced separately. PBS continues to serve up arts programming throughout the year. On January 13 at 9:00 p.m, GREAT PERFORMANCES premieres Anna Deavere Smith’s “Let Me Down Easy,” a solo theatrical exploration of matters of the human body. “Tony Bennett: Duets II” captures the legendary singer with a diverse roster of contemporary artists, including Lady Gaga, John Mayer, Michael Buble, k.d. lang, and the late Amy Winehouse on January 27 at 9:00 p.m. MICHAEL FEINSTEIN’S AMERICAN SONGBOOK, SEASON 2 returns February 3 at 9:00 p.m. with three episodes that take viewers across America and through musical history with a variety of surprising guest stars. GREAT PERFORMANCES gives viewers a front-row seat to “Memphis” February 24 at 9:00 p.m., starring the original Broadway cast members of the 2010 Tony Award-winning Best New Musical. PBS Arts online includes content created specifically for PBSArts.org, designed to complement the broadcast programs and to draw viewers with new original content. The acclaimed “Off Book” series of short documentaries that cover art outside the mainstream begins again February 14 with new episodes bi-weekly through July. Topics include sneaker culture, Japanese anime, advertising art, and more. 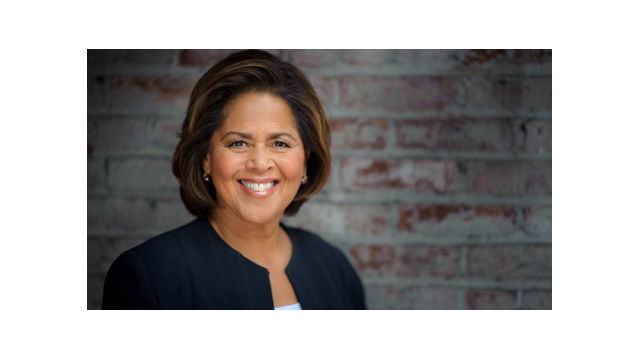 Anna Deavere Smith is well known to television audiences for playing Gloria Akalitus on Showtime’s hit series “Nurse Jackie” and Nancy McNally on NBC’s “The West Wing.” But she made her name first in theater, where her acclaimed solo works explore American character and its multifaceted national identity. She has won numerous accolades, among them two Obies, two Tony nominations and a MacArthur fellowship. In her theater work, Smith is known for looking at controversial events from multiple points of view. She is author of the acclaimed plays Twilight: Los Angeles 1992, Fires in the Mirror and House Arrest. Her most recent, Let Me Down Easy – to be broadcast on PBS January 13, 2012 – tells the human side of the American health care story. Funding for the launch of PBS Arts has been provided by Anne Ray Charitable Trust, public television viewers and PBS. For full episode descriptions, images, videos and additional up-to-date information on these and other PBS programs, visit PBS PressRoom at pbs.org/pressroom.